Learn To Live With Less Stress—Today! Most of us feel stressed more than we want. And you may not like to hear it, yet a lot of it is self-inflicted. It’s actually good news because it means you can do something to reduce your stress! 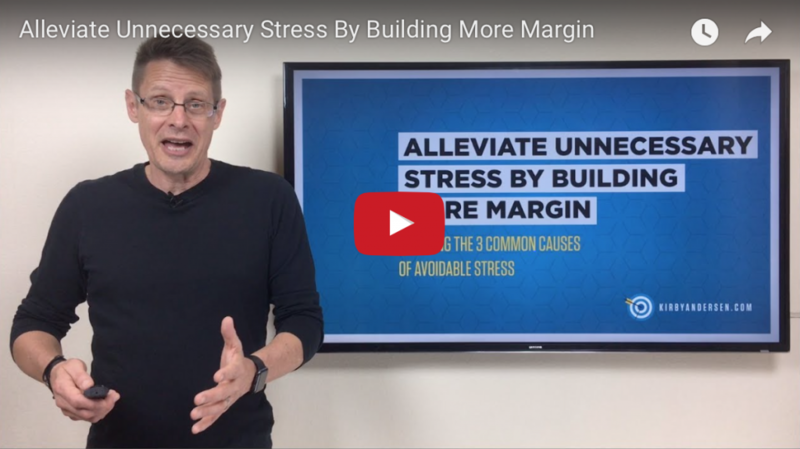 That’s what this short video and updated blog post is all about: Alleviate Unnecessary Stress By Building Margin. Most of the unnecessary, avoidable stress in our everyday lives boils down to one of 3 things. And the solution is the same for all—and it’s not that difficult. Check out this video and blog post and learn how to live with less stress beginning today!